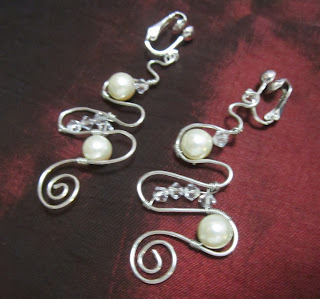 Today I took out the pearls left from the wedding and made some abstract earrings. 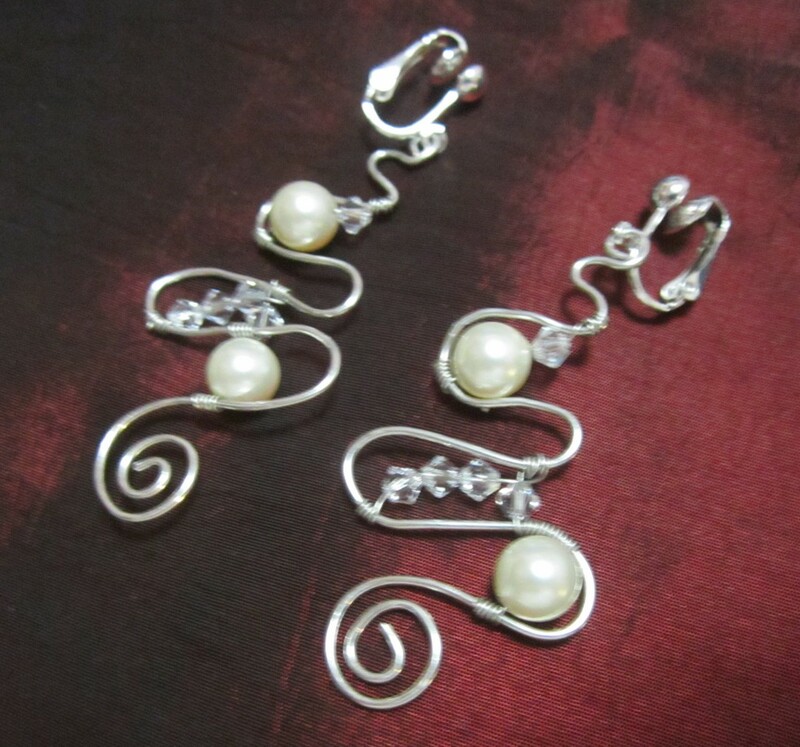 These look a lot like the pearl earrings I made back in June. Then I decided to make a matching 22 inch necklace. 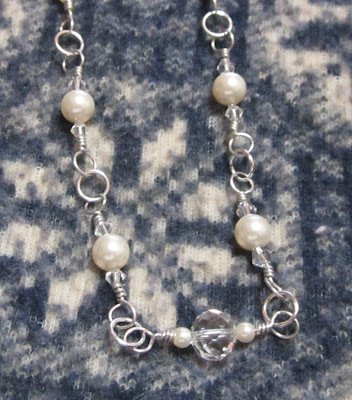 The necklace is made of silver wrapped pearls that I added a pendant to. The pendant looks like one of the earrings. I thought they both came out nice but I may add a chain strand with pearls every 3 inches. Pearl earrings that started it all! Wired pearls and close up of pendant. 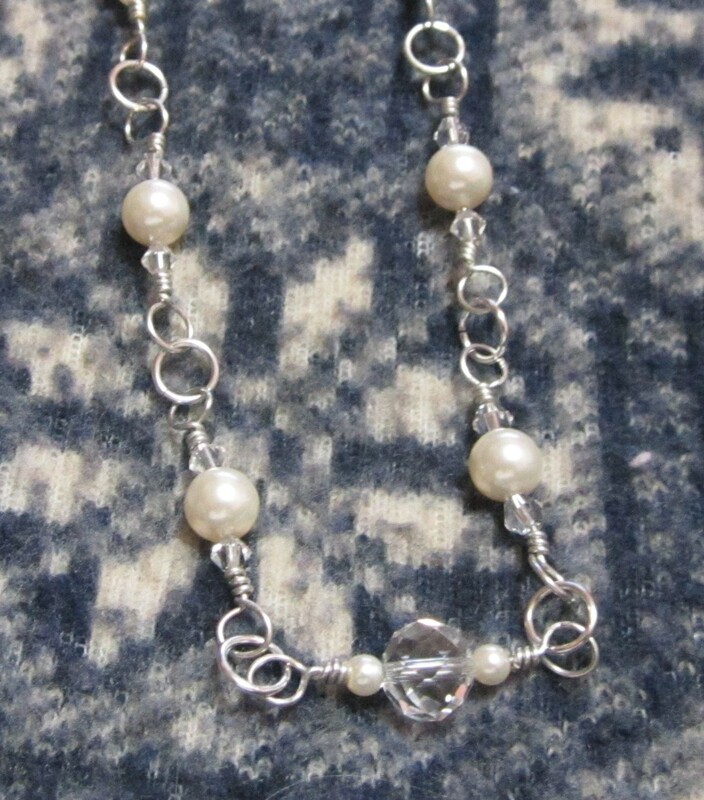 Then while I still had some hand strength I also made a 23 inch strand of silver wrapped pearls and crystals. Not to bad a day of crafting making two gifts! 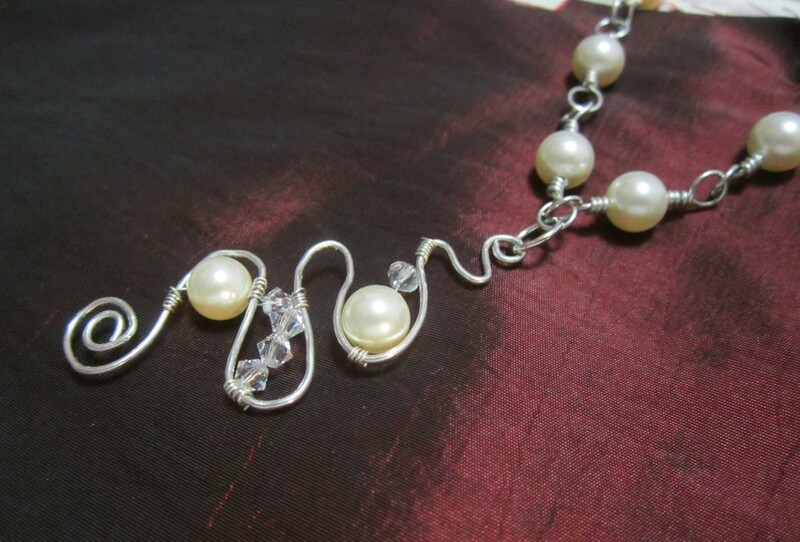 Necklace with alternating large crystals and cream colored crystal pearls. The second necklace was made with larger loops and a medium silver jump ring between each wrapped sections. This gave the necklace a lacier look. There are two types of alternating sections. The first is a pearl with small crystal bicones on either end. The other is a crystal with two small pearls at either end. The pattern is two pearl sections and then one crystal section. I hope that it will be as easy thinking of other designs for gifts. The picture doesn't do it justice. These are lovely enough for a wedding. I was thinking about posting all the jewelry I've made and let people pick their own Christmas gift. So if you would like the pendent necklace and earrings let me know.